The New Britain Hawk Owl is a small owl with no ear-tufts. 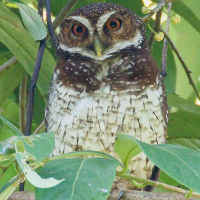 It is also known as the Russet Hawk Owl, New Britain Boobook or the Russet Boobook. 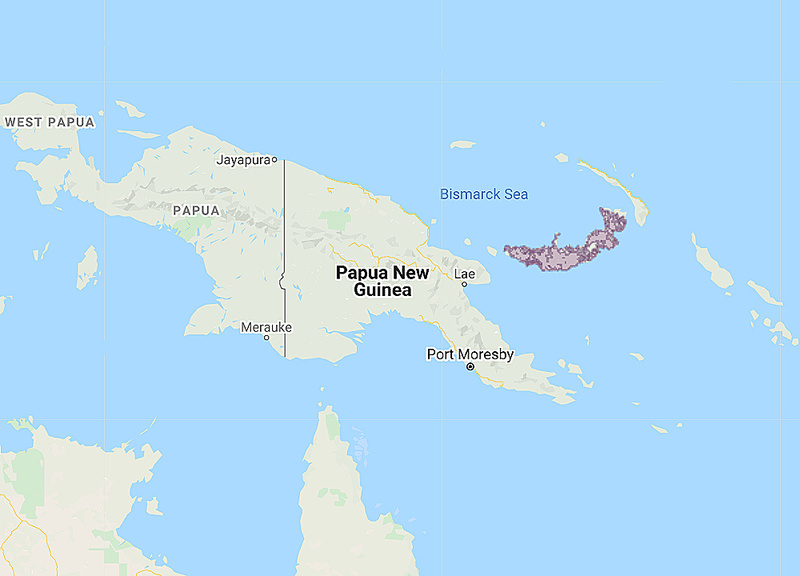 Distribution: Endemic to New Britain in the Bismarck Archipelago off eastern Papua New Guinea. Status: Widely distributed and not rare to common within its range. Original Description: Sclater, Philip Lutley. 1877. Proceedings of the Scientific Meetings of the Zoological Society of London for the Year (?) (PZS): Pt. 1, p. 108. Page by Deane Lewis. Last updated 2016-01-18.